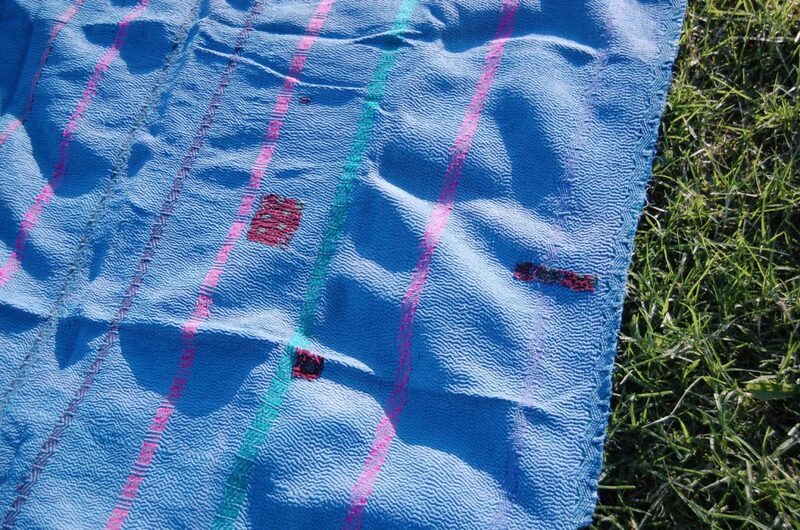 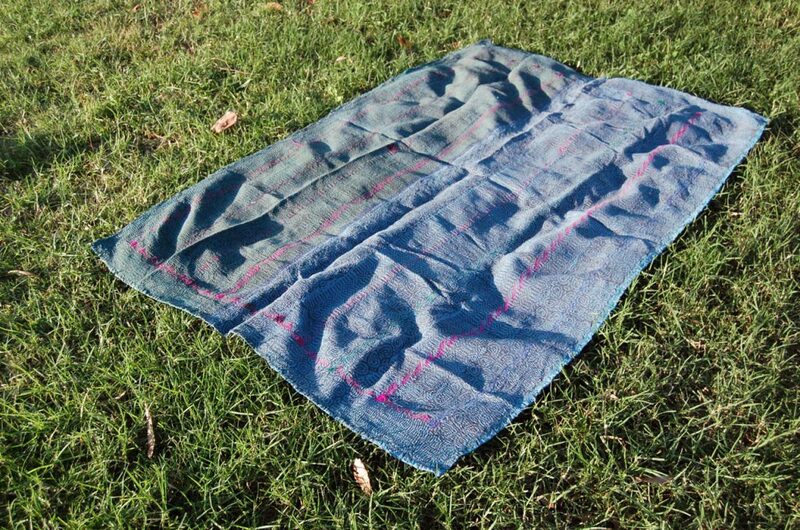 SAPPHIRE has a wonderful textural quality and a nice heavy weight, making it great for a picnic rug – even though these kanthas are handmade and vintage, they can be quite durable. 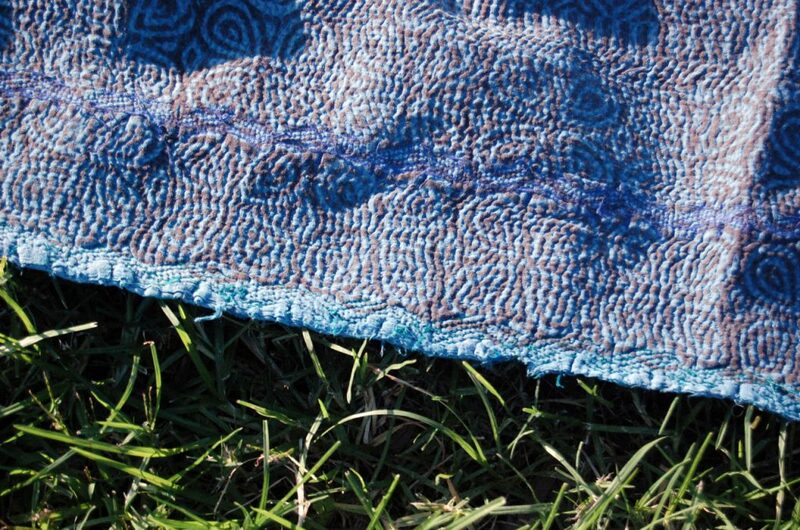 The thousands of tiny stitches across the entire surface make for a tough structure and are also easy to care for (see our post on Caring for your Kantha here). 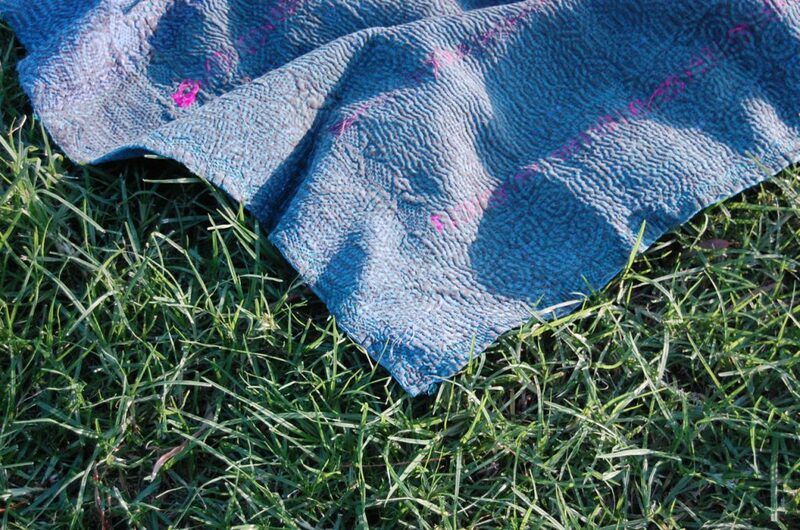 The intricate design and rich colours of Sapphire, the indigo kantha quilt are really amazing! 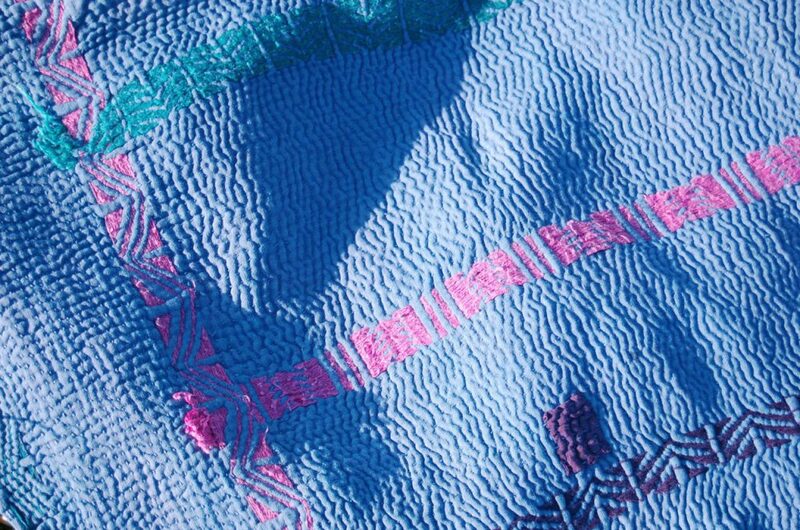 All our quilts are individually selected – we spend time choosing the most beautiful kantha quilts, throws and blankets to bring you a whole shop filled with the most special kantha items. 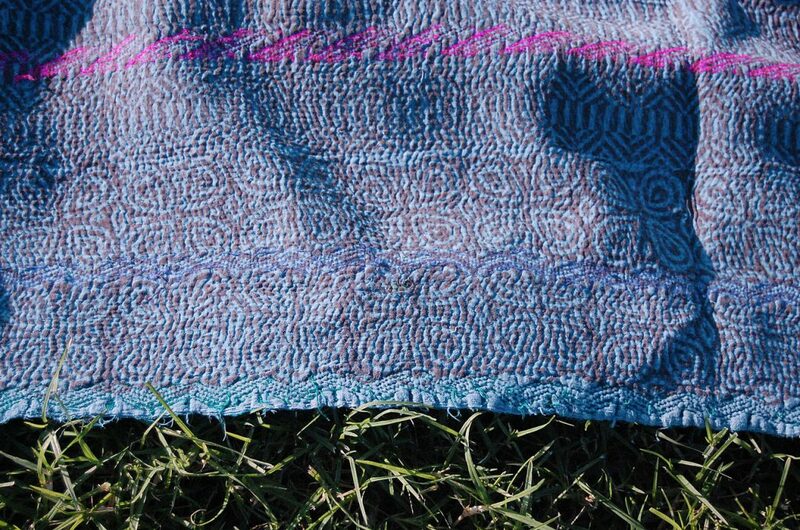 We hope you enjoy our selection. 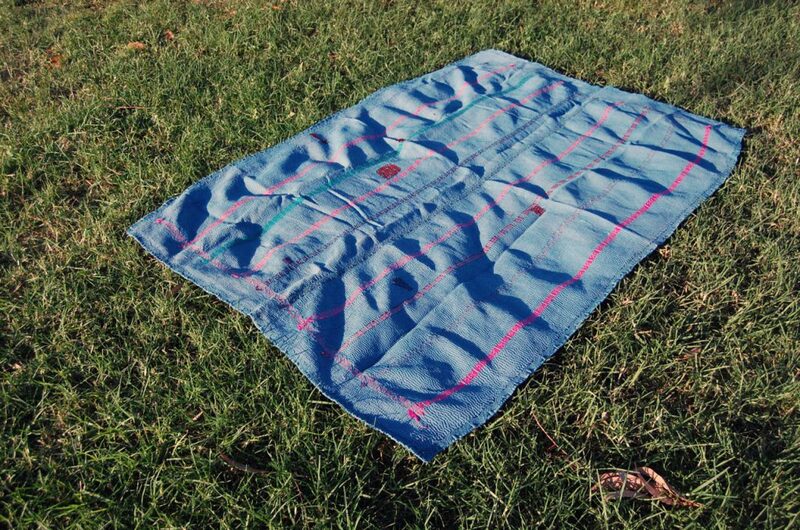 Shop this quilt at The Kantha Project. 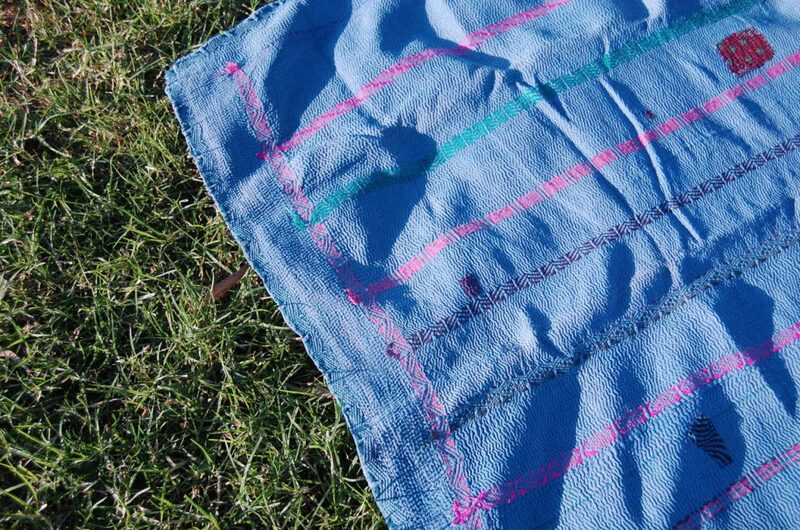 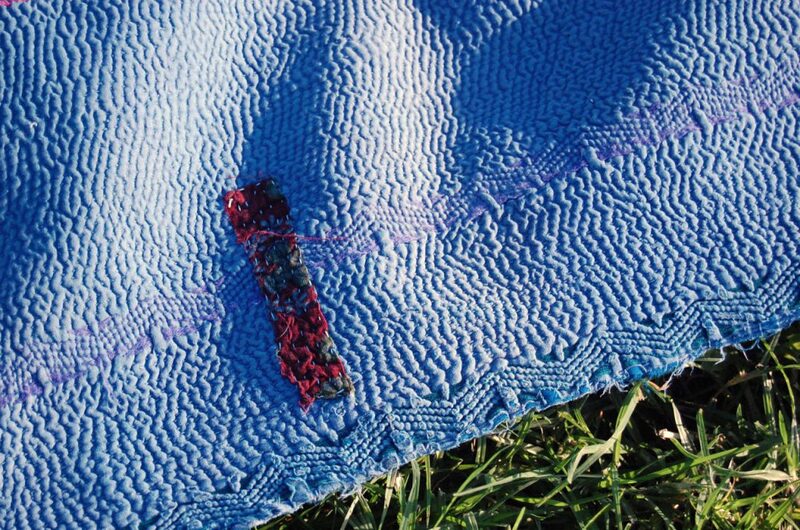 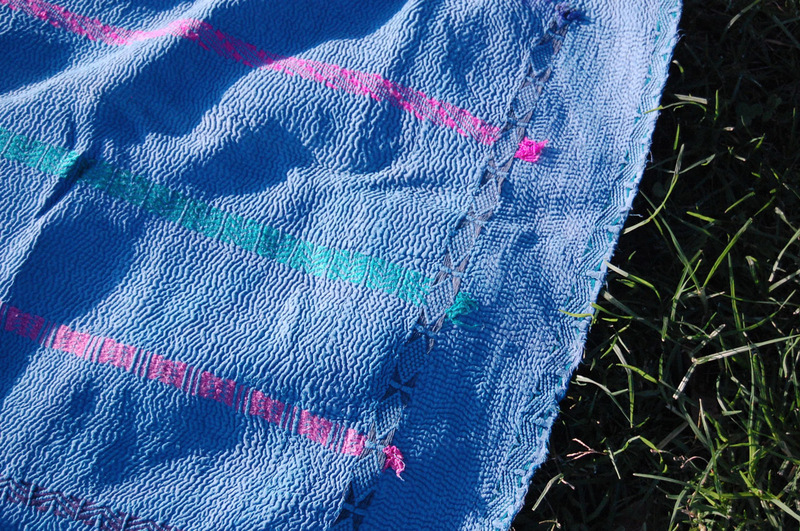 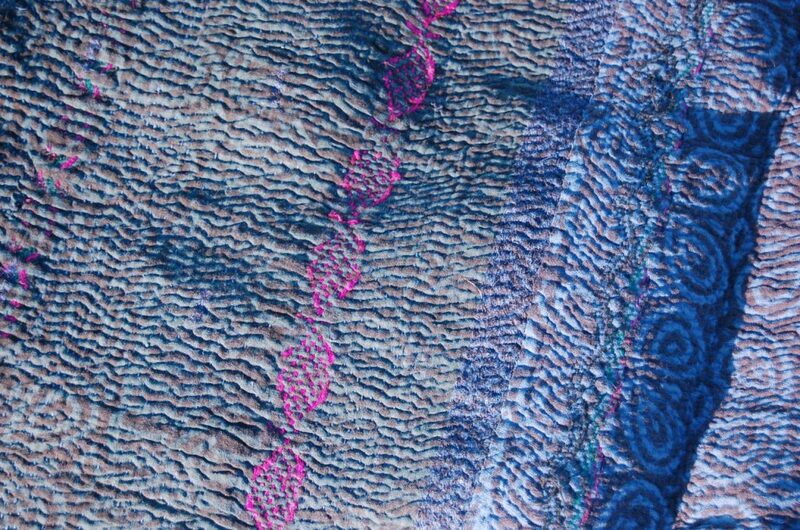 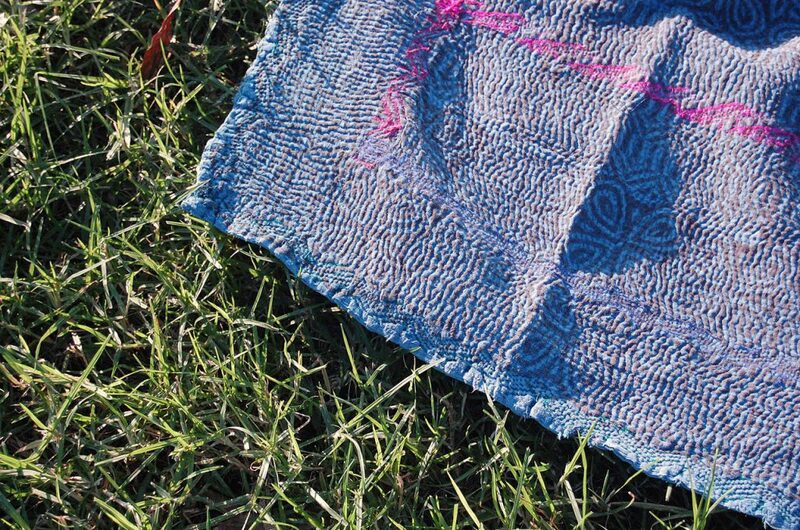 Indigo dye quilts should be washed separately, as dye may run.